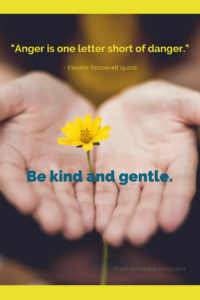 “A gentle answer turns anger away. Ever tempted to respond in anger? Wow, that is so true, huh? I’ve gotten myself into danger when I responding with anger. Nothing I wanted to accomplish happened. Kindness. Gentleness. 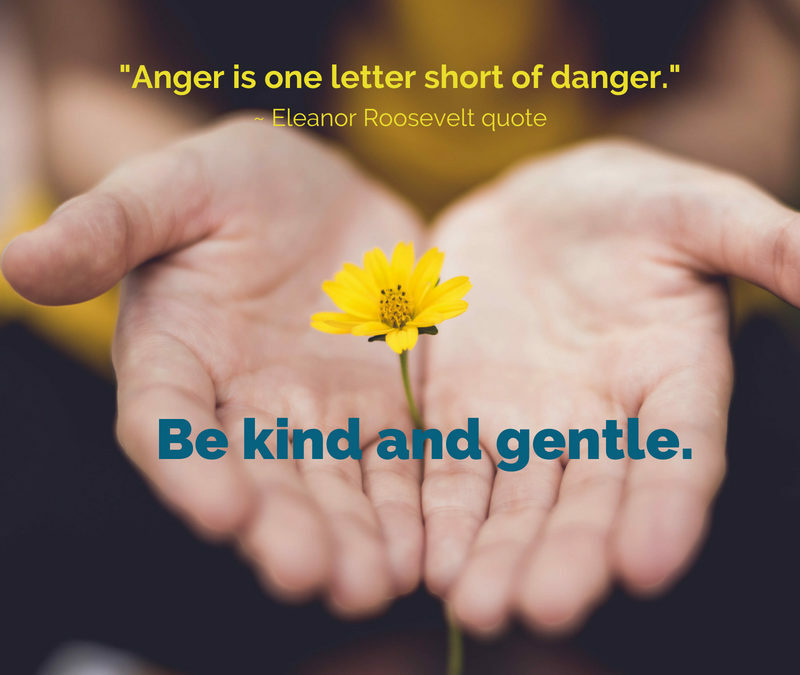 Try them instead of anger. 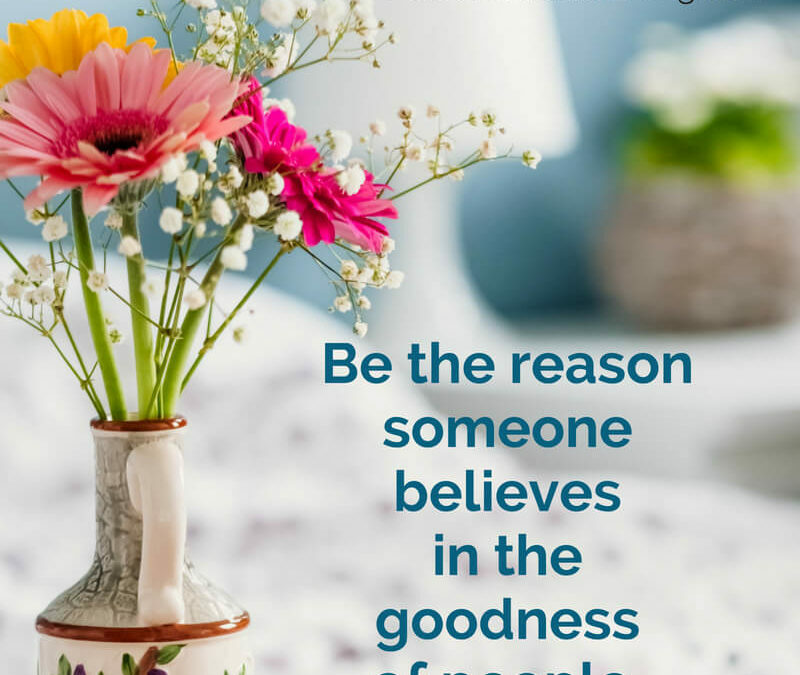 Let goodness begin with you. What could be considered “goodness”? Go that extra mile when you see something is missing. Reach out to encourage, without expectation of return. Provide what’s needed – anonymously if possible. Clean up a mess, especially if you weren’t involved. Open doors for others – figuratively speaking. Be with someone. Just be. No words, or advice. Give a verbal hug to someone who has felt rejected. Care for something that’s not your responsibility. Who has been “good” to you? How have they demonstrated their goodness? 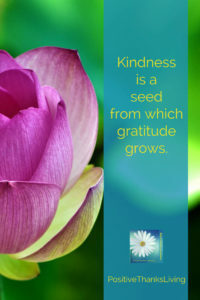 Kindess: A seed to grow gratitude. Your kindness has an impact. It’s more than just that act, it’s a seed for something greater. 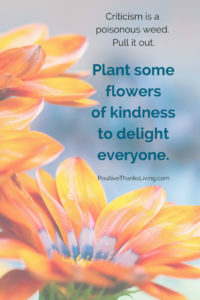 Perhaps you’ll never see how your act of kindness changes the world around you, but I believe we sow seeds with our kindnesses from which gratitude will grow. Sometimes those seeds will languish, and do nothing. 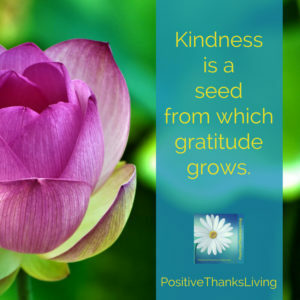 But there will be times where those seeds will grow into a blossom of gratitude. 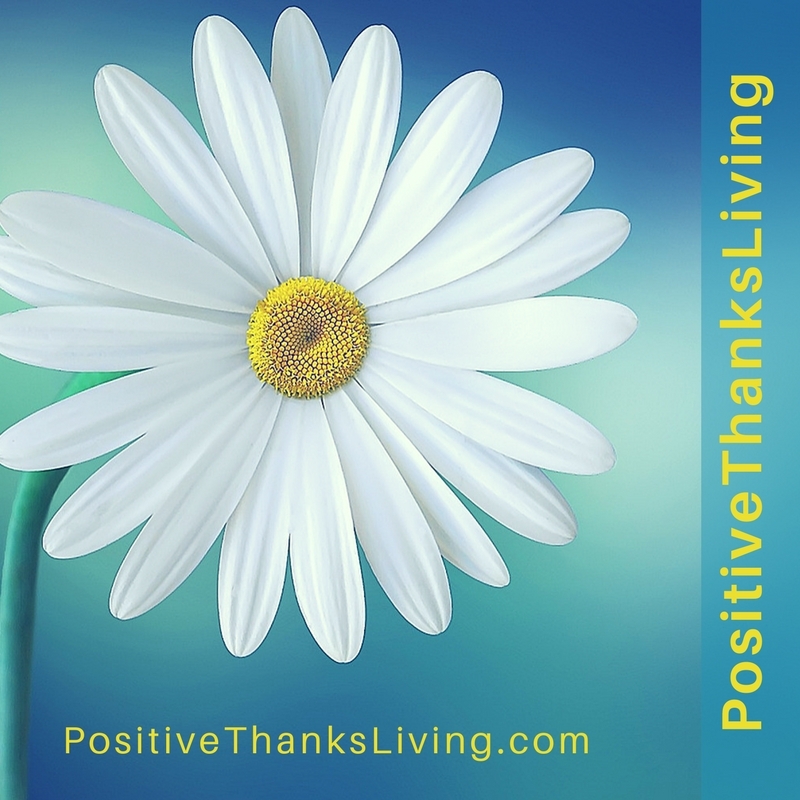 If you see value in a being thankful, then create an environment where others will have specific reasons to feel thankful themselves. 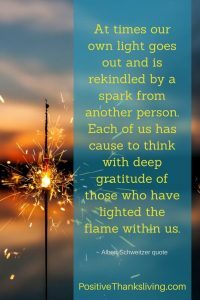 for gratitude to blossom in others. 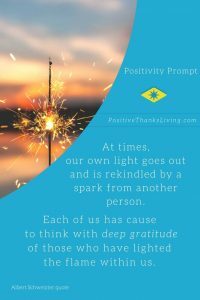 Do you need ideas on practical acts of kindness? 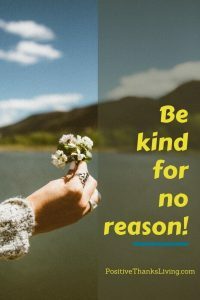 Here are 25 ideas on how to be kind for no reason. Now, imagine your world filled with thankful human beings. You can make it happen. 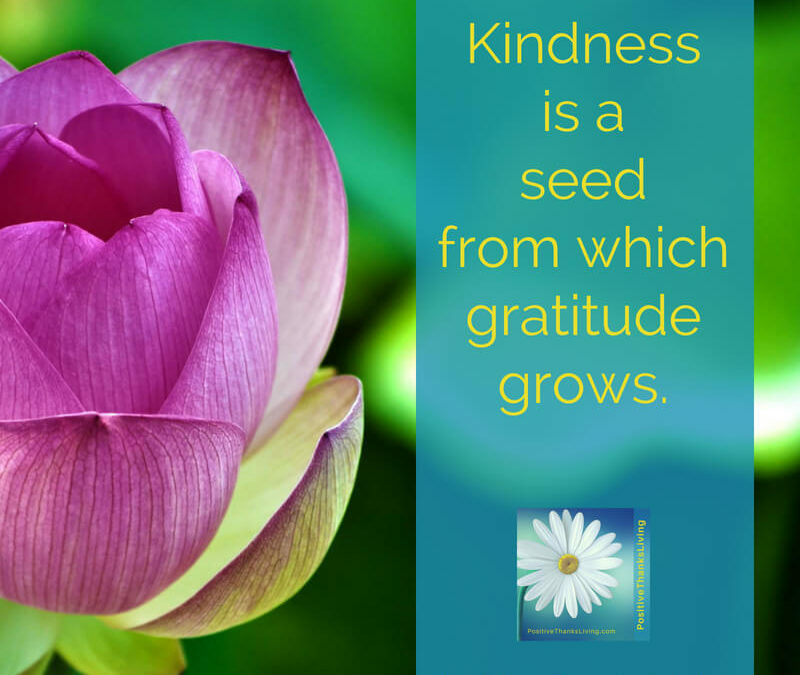 It starts with your kindnesses – random and simple or deliberate and complex. When you are kind you are building a more beautiful space. And that is something to be thankful for… yes? 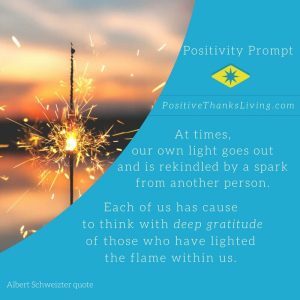 Who has lit – or re-kindled – your flame? Reach out to them today – say “thank you”. 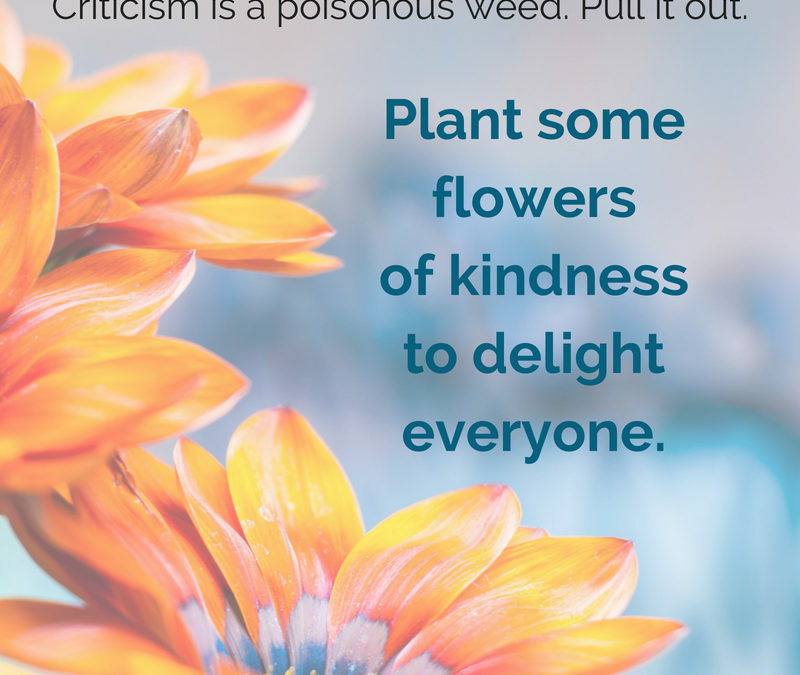 25 Ideas – How to be kind for no reason. Let kindness rule your day. 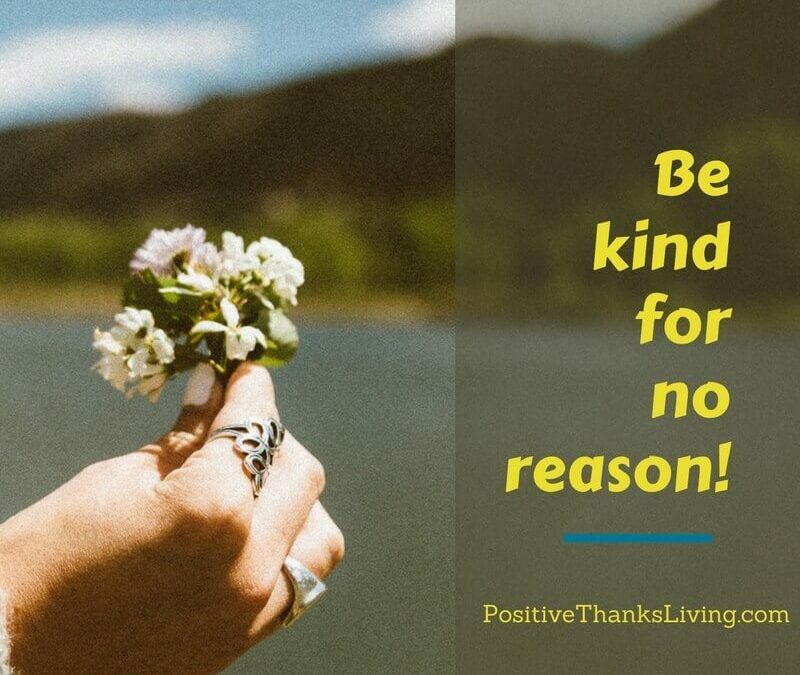 Be kind for no reason! Smile at everyone – regardless. Let the other person go first. Offer to share your treats with your co-worker. And if you don’t have any… get some to share. Listen with your full attention. Send a card just to say hello – for no reason at all! Take a moment to play with a child or listen/talk with an elderly person. Pick up some trash – or recycle a trashed item. Hold open a door for the next person or two. Be patient, even if it’s hard. Put a coin in a candy machine to surprise someone. Write a “thank you for all you do” on a bill you’re paying. Give a friend a compliment (even if it’s online). Write a post-it note with something fun and leave it on a window/mirror. Invite someone to go for a walk or a drive. Go out of your way to say “thank you” all day. Fill a parking meter with the extra change in your car/pocket. Share a funny video with someone – there is never enough laughter in a day. Let the person behind you in the grocery line go first. Offer a cold bottle of water to the mail/UPS/FedEx carrier. Put an item or two into the “donate” box at the grocery store. Count to 10 or 20 instead of getting angry – rearrange your face into a smile. Neaten the space, even if you haven’t made it messy. 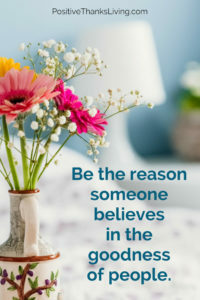 Being kind – deliberately – is a wonderful way to connect with people. Leave a comment to add to the list! It will just take a moment, but what a positive perk you can introduce to everyone in your life. 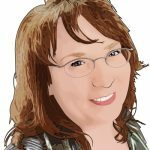 Download the above list – print it out – remind yourself! 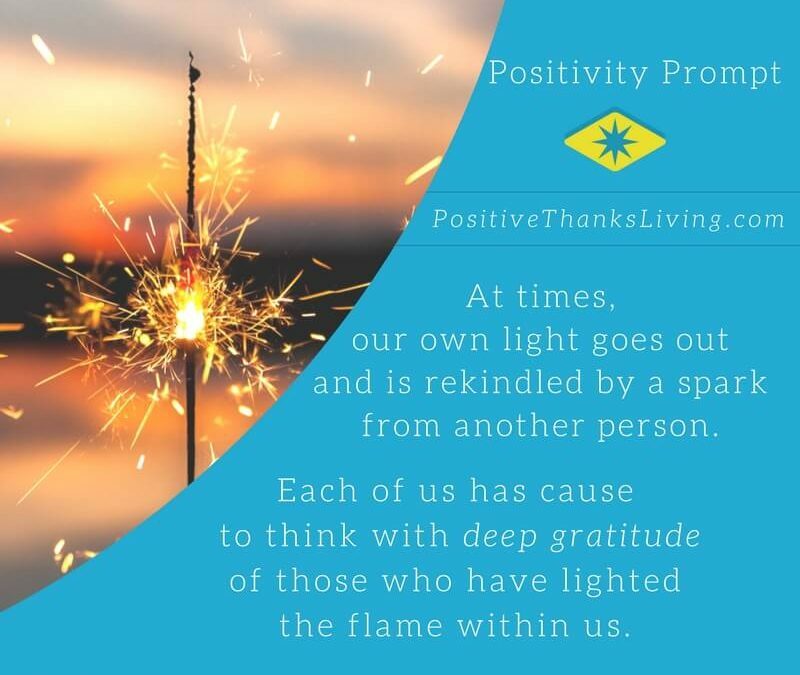 Positive people know they’re loved, are thankful, encourage others, know the value of being encouraged themselves, and take positive action on their goals! 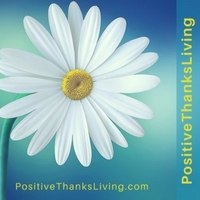 That’s what PositiveThanksLiving is all about! Put it on your desk or bulletin board or bathroom mirror to be reminded. Today is a good day to be KIND! Click to DOWNLOAD the List! 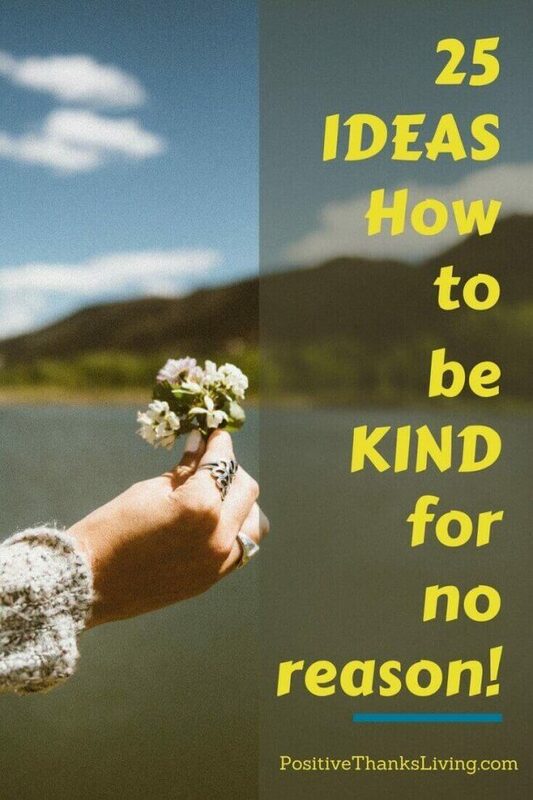 Here's Your List of 25 IDEAS on How to be Kind for no reason!